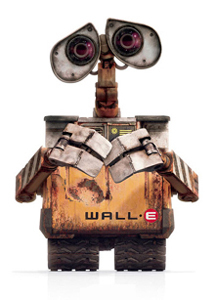 The Disney/Pixar film WALL-E has been adoringly received by the majority of the theater-going public. This adoration is unjustified. The film blatantly conveys environmentalist, anti-capitalist, anti-technological propaganda—and aims it at an audience of children, who still lack the critical faculties and intellectual sophistication to evaluate all relevant aspects of the issues presented in a rational manner that considers all sides of the issue. I will, rather, concentrate on a much more egregious error made by the creators of WALL-E—an error made in ignorance of basic economics and of commonsense insights regarding the nature of human behaviors and the incentives facing individual economic actors. This error pervades the film's depiction of life aboard the Axiom, a starship made by Buy'n Large (BNL) corporation—a cross between Wal-Mart and the George W. Bush administration—to house the human refugees from Earth for 700 years after the Earth becomes too littered to remain habitable. The startling aspect of life aboard the Axiom is its total homogeneity. Everyone is morbidly obese; everyone drinks fatty meal-replacement shakes; everyone rides around in automated carts instead of walking; no one engages in direct personal communication; no one exercises; everyone follows the BNL corporation's fashion advice (when the announcements tell the people "blue is the new red," all Axiom inhabitants switch their suit color from red to blue at the press of a button). Not only does this homogeneity mark one instant in time; it has been present all throughout the Axiom's seven centuries of travel through space. During that time, there has been zero technological progress, zero cultural innovation, and zero non-cosmetic change in the aesthetic, philosophical, and political arrangements aboard the ship. If you believe that this is possible, then you will also believe nothing substantial at all has changed in human affairs since the year 1308. WALL-E is egregiously wrong in assuming that technological conveniences such as easily accessible food, transportation, entertainment, and communication render all people lazy, indulgent, and devoid of initiative. Some people, to be sure, respond in this way. In the real world, however, this response tends to be temporary. In the more economically advanced countries, it tends to affect lower-income individuals who have just begun accessing historically luxurious standards of livings but have not yet developed cultural habits for managing their new-found wealth and opportunities responsibly. These habits will come with time—as they always have among groups of people that have lived prosperously for generations. "The creators of WALL-E, sitting in their comfortable Hollywood studios, have done a tremendous disservice to the civilization that made their very work and high standards of living possible. They have glorified a lifestyle which would likely kill them—and countless others—were it actually revived." Already in the United States, the big fast food chains are racing to offer health foods—salads, fruit, and other low-calorie snacks—on their menus to keep the patronage of those who would have been satisfied with Big Macs and Whoppers in the past. Meanwhile, a wide variety of health foods and diet foods—some genuinely effective and others of dubious merit—are being consumed more broadly than ever before. In the meantime, of course, millions of people have never neglected healthful habits, even though they have for decades been surrounded by consumer goods that—in the anti-capitalists' eyes—would lead them to ruin. Just as the ready availability of guns does not automatically turn peaceful people into rampaging maniacs, neither does the ready availability of all sorts of foods turn responsible, educated, self-respecting individuals into range-of-the-moment hedonists. With some kinds of wants met—such as food, shelter, and transportation—people virtually always tend to develop new wants or to focus on existing lower-priority wants not yet addressed. As Ludwig von Mises showed, people will act so long as they are faced with uncertainty and believe themselves capable of somehow affecting the uncertain future. These conditions will never stop existing—no matter how comfortable and prosperous people become. Thus, humans will always act and will always strive to improve their lives. A wholly static, apathetic, sated, and torpid society is inconceivable in reality. The economy aboard the Axiom does, however, seem to be the dream economy of popular "static equilibrium" models, where nothing ever changes—not production, consumption, preferences, or expectations of the future. Yet, as Austrian economics informs us, such conditions have never existed nor can they exist. At best, they are mere useful theoretical constructs—but certainly not accurate depictions of any realistic economy. In the real world, there exist immense changes of preferences, widely dispersed information, tremendous uncertainty about the future—and numerous entrepreneurs who are alert to possible opportunities for satisfying people's wants in a better way than they are currently being satisfied. That there is not one entrepreneur aboard the Axiom prior to the Captain's paradigm-shifting discovery of information that was easily accessible to everybody for the last seven centuries is testimony to the film creators' ignorance of what makes economic change possible and ubiquitous. The humans' return to Earth and attempt to "rebuild" their lives there is, too, ludicrous from any sound economic perspective. After having had a sustainable automatic food production system aboard the Axiom—which had apparently worked without fail for seven centuries—the humans all of a sudden decide to resort to traditional agriculture. The one thing they had machine capital to do for them, they decided to do manually instead. Rather than devoting the precious time bought by the ready availability of food to, say, create art, repair all those broken skyscrapers, or design even better robots, the humans decided to manually dig holes in the ground and grow their food through backbreaking toil that led millions throughout history to die premature deaths. (Oh, by the way, the film left that part out.) Virtually no one today who romanticizes the "good old days" of traditional agriculture recognizes how nasty, brutish, and short life under such conditions had been for millennia. Once the first industrial factories opened—with their long hours, dangerous equipment, and meager pay—people flocked to them in droves, because the factory conditions (including the sanitation provided and wages paid) were greatly preferable to those of toiling virtually all day on the traditional farm. The creators of WALL-E, sitting in their comfortable Hollywood studios, have done a tremendous disservice to the civilization that made their very work and high standards of living possible. They have glorified a lifestyle which would likely kill them—and countless others—were it actually revived. I, for one, have seen a semblance of these "good old days," having spent summers as a child with my maternal grandparents in a remote Belarusian village—where little had changed since the 1917 Socialist Revolution. The perpetual manual labor, lack of sanitation, lack of healthcare, and widespread inclinations toward alcoholism are never mentioned by those extolling the virtues of traditional farm life. I have spent my life to date moving increasingly further away from that, and I will resist vigorously the efforts of those who seek to drag our entire civilization back into miserable, decrepit pre-modernity.